 Founded in 1991 by Dennis Adams, Celebrity Worldwide Transportation has grown from one vehicle into a substantial fleet of more than 25 vehicles. In 1991, Mr. Adams left Dun and Bradstreet after a 15 year career in sales and marketing to fully devote his time, wisdom and skill to the "Attention to Detail" mission of the company. Celebrity has achieved noteworthy success in providing unprecedented and unparalleled customer service. 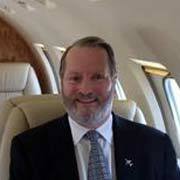 In 2012, Limousine, Charter & Tour Magazine awarded Celebrity Worldwide Transportation "Large Operator of the Year"! "Attention to Detail" is more than a phrase, It is the framework of years of planning, development and implementation. It is the lifeblood of the team that comprises Celebrity that is improved upon each day with the expectation that growth depends on the seamless application of client service. Clean new vehicles, professionally trained chauffeurs and prompt effective customer service will be consistent amenities for the frequent or occasional traveler. One ride and you will experience the difference in our Attention to Detail. Celebrity's facilities consist of a 12,000-sq. ft. company owned building giving it the ability to house all vehicles indoors! A full time fleet manager is on site to insure all vehicles are kept clean and serviced. Reservations, management and dispatch use a state of the art computer system, Livery Coach Software. This software system also provides GPS real time vehicle tracking, real time flight tracking and On-Line web reservations. Celebrity carries PUC required liability insurance, has on staff safety training and requires drug and alcohol testing of all employees.